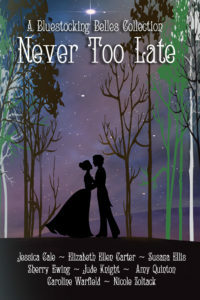 Have I got a story for you, my dear readers. Over here at the Teatime Tattler the ladies are a buzz. We’re excited to tell you about an event you will not want to miss. Storm Chasers are coming to Wentworth Hall, I tell you. What are Storm Chasers you ask? All I can say at this time is they’re very much what you might already be thinking. However, I’ve been warned by none other than the Prince Regent himself not to reveal a word to anyone. I’m taking his warning serious. 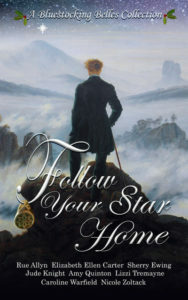 However, what I can tell you is that everything you may be curious to know about can be found inside the pages of Storm Chasers of Wentworth Hall. Yes. Your vision is not impaired. That is a hot air balloon. It’s no secret that this correspondent was more than a little concerned when this particular on dit was first revealed. After a fair amount of research, believe it or not, there are actually two types of balloons in competition with each other so to speak. Hydrogen gas and hot air balloons. Research on the feasibility of hydrogen gas balloons dates as far back as 1662. Hot air balloons date all the way back to 220-280 A.D. in China, no less. Needless to say, the hot air balloon is this correspondent’s preferred choice. 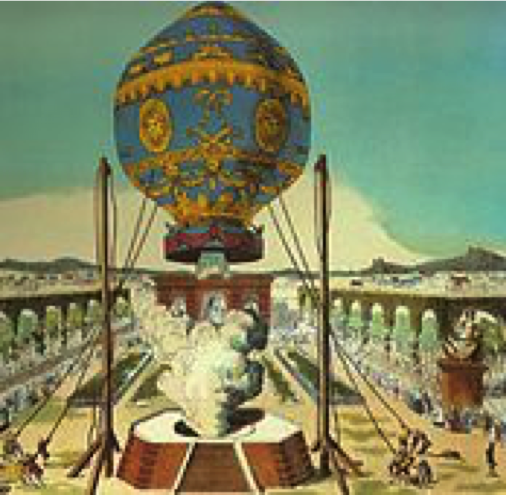 The first unmanned ascension was attempted by Joseph-Michel and Jaques-Etienne Montgolfier. The French! Who can believe it? And not too long ago either. September 1783 to be exact. The balloon was called Aerostat Reveillon. It took flight in Versailles and was manned by three non-human living creatures. Yes, you heard right. A sheep called Montauciel meaning “climb-to-the-sky,” a duck, and a rooster. Their journey lasted eight entire minutes with a safe landing. I say, they should have included a pig in the ranks. Or maybe a frog? As diverting as this may be, these accomplishments are of the utmost importance. The first tethered flight also happened in 1783, one month later, in October. Those pesky Frenchmen powered on until the first untethered, manned flight happened also in France. That is Paris, France on November 21, 1783. This balloon was piloted by Jean-François Pilâtre de Rozier and François Laurent le Vieux d’Arlandes. How, you might ask, is all this possible? A smoky fire under the neck of the balloon in an iron basket. That’s how. 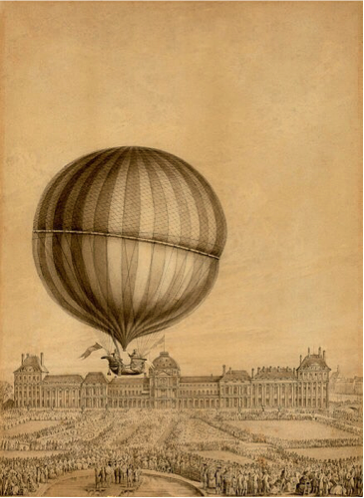 France refused to stop there because only a few weeks later, the first manned hydrogen balloon flight occurred on December 1, 1783. This flight was piloted by Jacques Charles and Nicolas-Louis Robert. They carried a barometer and thermometer making this the first balloon flight to provide meteorological measurements. Storm chasers indeed! Explaining the science behind hot air and hydrogen will have to be left to the experts. It’s no wonder Prinny insists on complete discretion. Readers be warned. The Crown has plans in the works. And what about England? The first balloon flight in England actually happened in 1784 not too long after France. This correspondent has reservations on that account in any event. One cannot believe everything one hears regarding the French. Until next time…unless, of course, too much has been revealed in which case this correspondent will be answering to the powers that be. 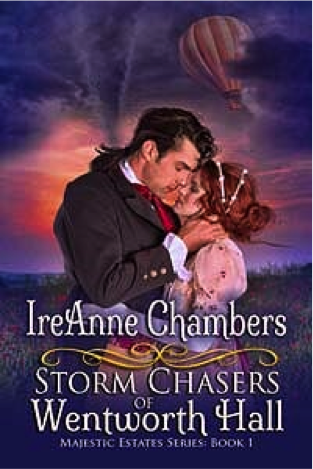 Storm Chasers of Wentworth Hall releases on April 18, 2019. 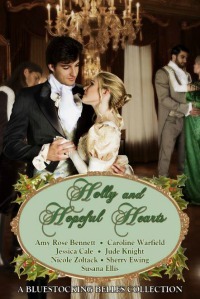 It’s currently on pre-order at: Amazon but soon to be available across all digital outlets.